To mark the blue bird's birthday, here's a look back at eight memorable moments in Twitter communications. With that, a tweet was born. Twitter is marking its eighth birthday on Friday. In less than a decade, the social network has grown to 241 million monthly active users, with 500 million tweets sent per day. Its eighth year was its biggest one yet as Twitter went public, debuting on the New York Stock Exchange last November. To mark the blue bird’s birthday, here’s a look back at eight memorable moments in Twitter communications. 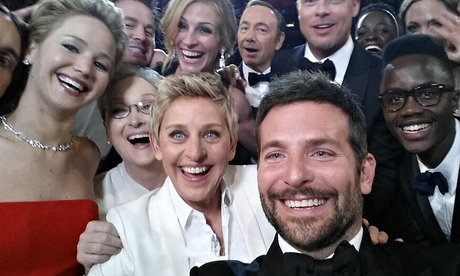 The Academy Awards host recruited some of Hollywood’s most beloved faces for an epic selfie that broke a retweet record previously held by President Obama. Before Ellen stole his thunder, this simple and emotional post following Obama’s reelection in 2012 set a Twitter record with more than 780,000 retweets. With Twitter, you don’t have to own a space suit to orbit the Earth. Timothy Creamer, an astronaut on board the International Space Station, sent the first live tweet from space. As white smoke poured from a chimney on the roof of the Sistine Chapel, social media users got a crash course in Latin when the Vatican took to Twitter to announce the election of Pope Francis. Translation: "We have a pope." Late one night in Abbottabad, Pakistan, Sohaib Athar sent a series of tweets documenting the events heard outside his window. Without realizing it, he was live-tweeting the raid by US operatives that killed terrorist Osama bin Laden. Vampires and werewolves at the Hallwyl Museum. Fear spurs the imagination and the kids stories are going to be so great! Yey! A Swedish government program caused some critics to shake their heads when it decided to turn over the country’s official Twitter account to a new citizen every week. While sometimes stirring controversy, the initiative has also shed light on the country’s people and proven there is no such thing as a typical Swede. Before Kate Middleton flashed her sapphire ring to reporters, Clarence House, the royal home in London, revealed her engagement to Prince William via Twitter. 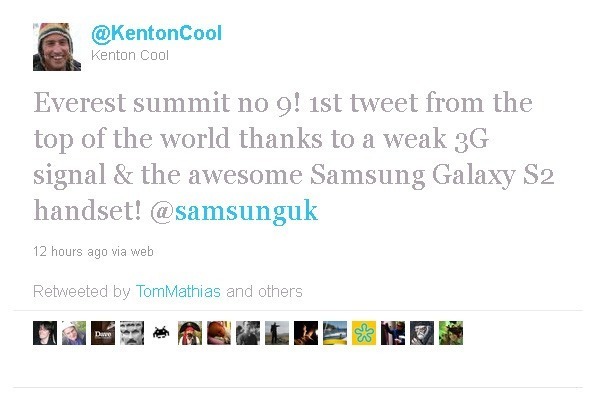 Despite a weak 3G signal, British mountain climber Kenton Cool sent the first tweet from the top of Mount Everest.